Feast your eyes on the 2016 Olympic torch! With just 399 days until the Rio 2016 Olympic Opening Ceremonies, today the organizing committee unveiled the Olympic torch design at a press event in Brasilia. The new torch is sleek, coated with scale-like satin-finished triangles, and expands when about to be kissed by the Olympic flame. According to media materials, the expanding sections reveal tiny curved canyons of tropical colors resembling or representing Brazil's topography, rivers and coastline, and the iconic sidewalk pavers of Copacabana Beach. National newspaper O Globo featured a video from the announcement. 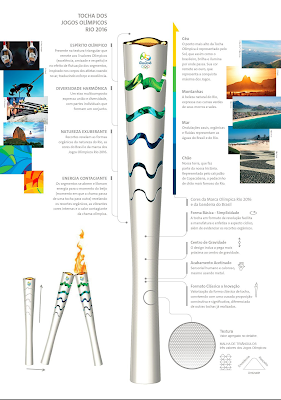 The official Olympic Torch Relay website provides a 360-degree view of the design. 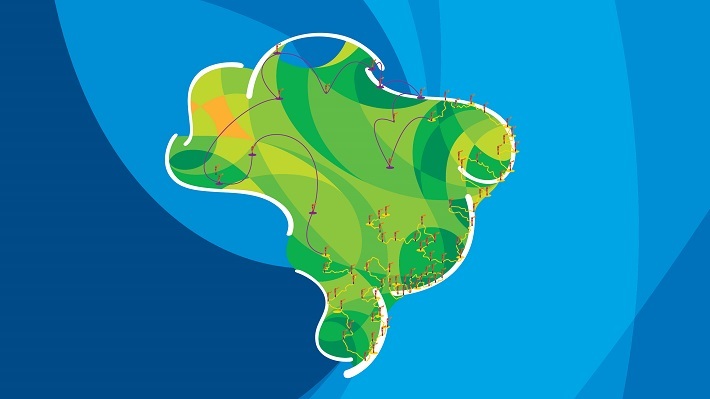 An interactive map details a 90 to 100 day domestic relay route starting in the nation's capital and moving through every Brazilian state. Relay sponsors will share details of the torchbearer selection process at a later date to be announced. For this blogger, Rio's Olympic torch is classy while innovative -- this is the first Olympic torch to expand when tickled by a relay runner's grip. For safety, just the tip will disperse the fuel within for a hot Olympic flame cheered by millions of fans on the road to Rio. you will be getting a charge out of the best minutes of your life that you can't overlook in all your years. The chosen companion has all the features that you look in your fantasy lady. Physical closeness is not a definitive action you can do with her yet there are a great deal numerous angles you can hire her for.